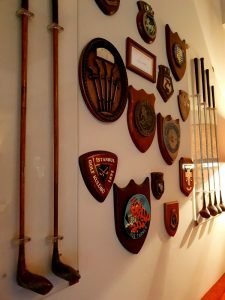 When thinking of the oldest golf clubs in continental Europe, Turkey doesn’t immediately spring to mind. But, did you know that one of the 10 oldest Clubs in Europe is in Istanbul? 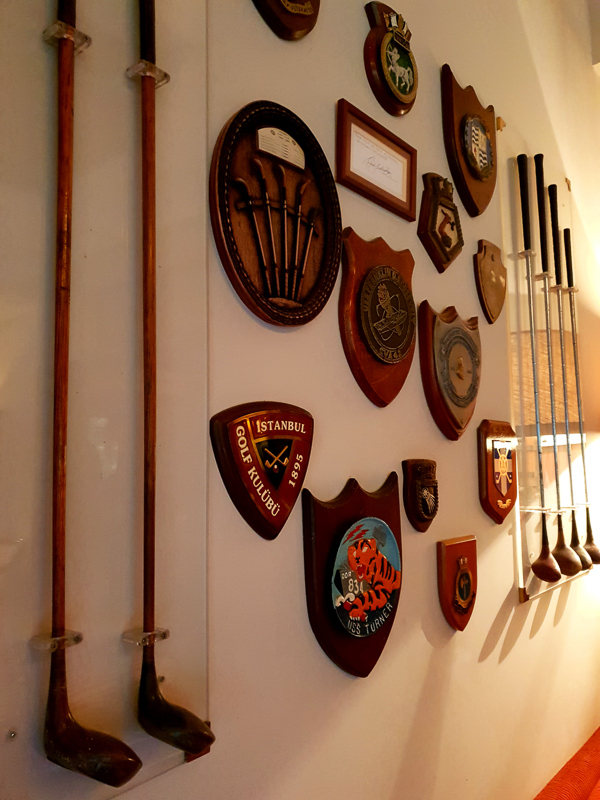 Istanbul Golf Club opened as Constantinople Golf Club back in 1895. 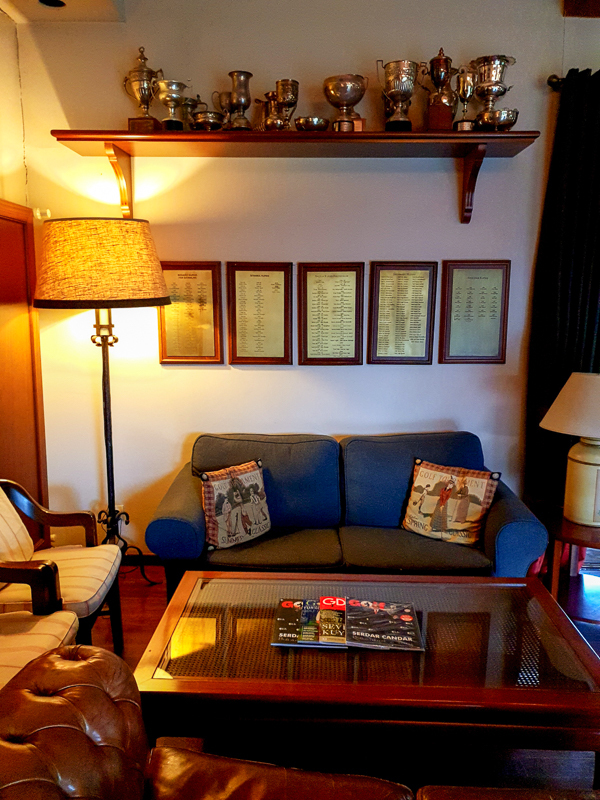 While in Istanbul, Menekse and I had the sincere pleasure of visiting the historic Istanbul Golf Club (IGK). But getting to IGK is no small feat. As we were staying on the European side of Istanbul, and the Club is on the Asian side, we took the ferry to Kadiköy. From there, we thought it would be the easiest to take a taxi. However, when asking for fares to IGK, we couldn’t find any driver that knew where the Club was located. IGK files under the radar, and well, when even the taxi drivers don’t know where it is, they have really achieved their goal! With the help of Google Maps, we made it close. Menekse and I decided to get out of the taxi and try to find the rest of the way on foot. We were supposed to meet at 11:00, but we ended up being a bit more than fashionably late. We were invited to IGK by Mr. Bekir Şerbetçioğlu, the Club Secretary General. 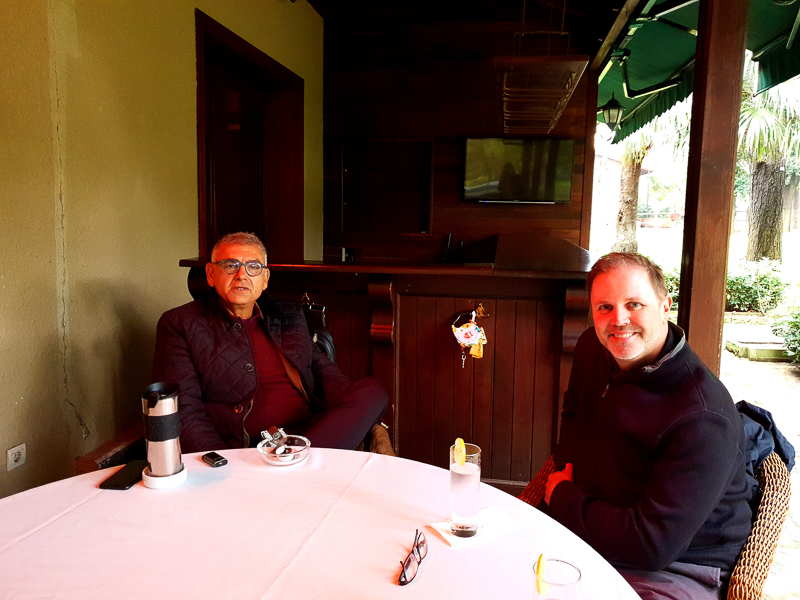 He shared with us the extensive history of the Club while we enjoyed Çay (Turkish Tea) on the club terrace together. 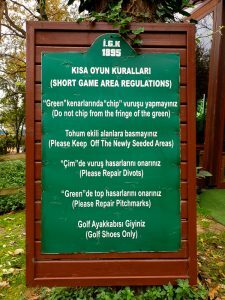 Like many golf clubs, Istanbul Golf Club has had its share of name and location changes. As mentioned earlier, Istanbul Golf Club started out as Constantinople Golf Club. The founders of the Club were British and American citizens living in Constantinople, which was the capital of the Ottoman Empire. 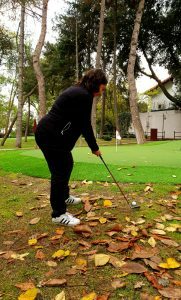 It began as a 12-hole course that was located on an archery practice field of the Ottoman Calvary. 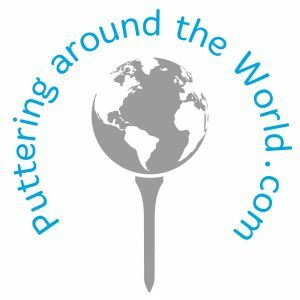 Golf history and archery practice- sounds familiar doesn’t it! The first name change came in 1911 when it became the Bosphorus Golf Club. 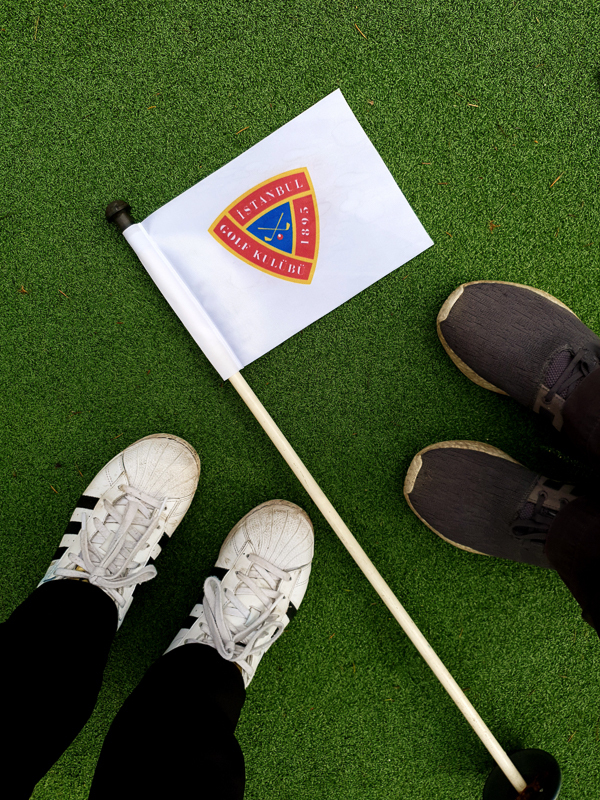 But in 1914 as the First World War was beginning, the military decided to occupy the area full time, so the course was forced to move to a different location, starting with 9 holes, and then expanding to 18 in 1922. 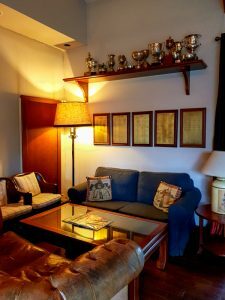 The Club voted to again change the name in 1923 to Istanbul Golf Club, respecting the change of the name of the city by the new Republic of Turkey. That location lasted until 1929 when, again, the military decided to occupy the grounds, so the Club had to change locations. 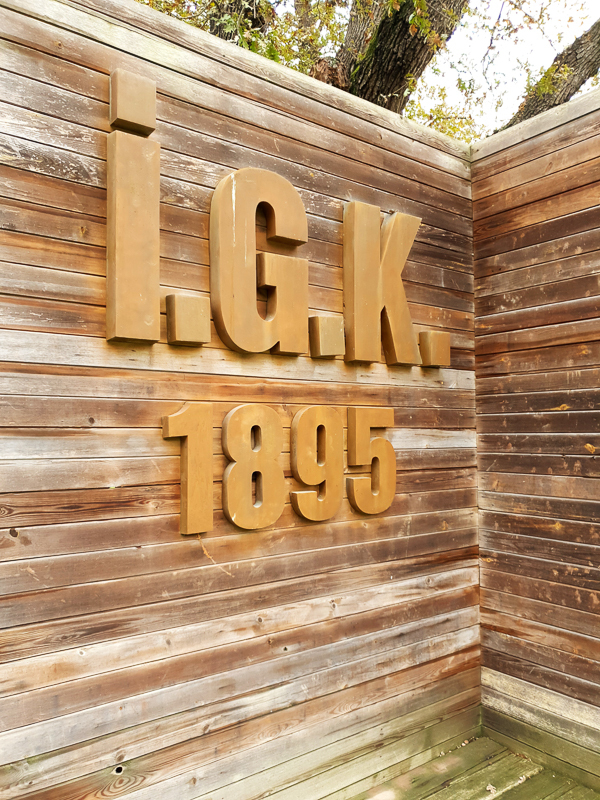 IGK remained in that location until 2015, when again the Club lost its land to the military, as well as land developers. 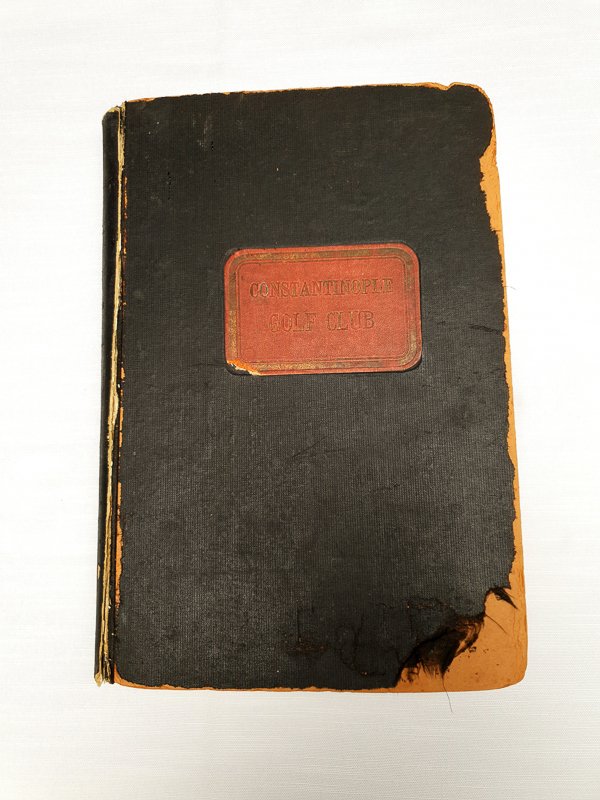 Mr. Şerbetçioğlu proudly showed us the original Constantinople Golf Club journal. Inside were the recordings of the first years of club tournaments including scores, as well as minutes from the earliest Club meetings. What a treat to be able to see such a historic document! He mentioned that IGK is in conversations with the R&A to officially preserve the history of the Club. Currently, IGK is without a course, but it is not without spirit. On site is a chipping and putting area, where they have fashioned a 9-hole practice area, as well as a driving range and a Trackman fitting center. After a tour of the club house facilities, we enjoyed a delicious Turkish lunch, complete with lentil soup, linguine pasta, and köfte with chips, with a couple of members. 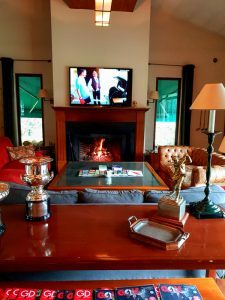 While dining, Mr. Şerbetçioğlu explained that a new location for the Club has been secured, and plans have been approved for a new 12-hole course as well as a new clubhouse. As historic a city as Istanbul is, the land is currently going through checks to ensure there is nothing of historical significance. After all, when you dig in Turkey as Mr. Şerbetçioğlu explained, you are bound to find something from antiquity! And, if all goes according to plan, IGK’s members will be playing golf on their own course again in 2021. Let’s hope the new location is far from any archery fields! We also learned that the Club is very active in promoting the game to the youth of Istanbul. IGK works with local high schools to provide kids the opportunity to learn the game. After all, what is more important than to ensure the future of our game. 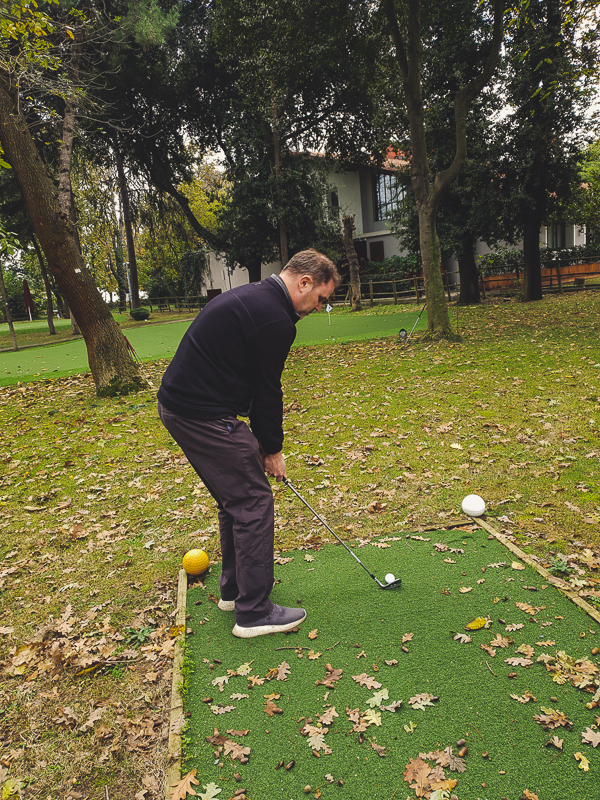 After finishing lunch, we played a few holes on the chip and putt practice area, where Mr. Şerbetçioğlu guided us through the set up. Chipping over bushes to very tight greens, all while trying to miss the beautiful pine trees was a fun and unique treat. 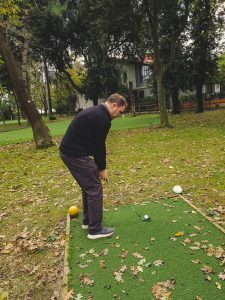 Afterwards, Mr. Şerbetçioğlu took us to Ataşehir Golf Club, one of a couple reciprocating courses of IGK where we played 6 holes together. You can read more about that experience here. We have never felt more welcomed by a club and were honoured to have the first club on our world golf trip the historic Istanbul Golf Club. We would also like to extend a special thank you to Mr. Şerbetçioğlu for treating us like members. Great write up and pictures! Keep us updated on the progress of the new club! Sounds awesome! Send updates on the new club!